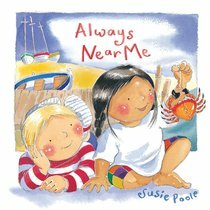 About "Always Near Me (Pupfish Series)"
Customer Reviews For "Always Near Me (Pupfish Series)"
This is a great little board book to start reading to your baby and continue up to toddler. It is such a simple way of teaching Psalm 139 and all its great truths that even adults benefit over reading it. The illustrations are sweet and beautiful (and a toddler will notice that the lighthouse matches the child's shirt on one of the pages). Great gift for any new baby!